You and I probably have something in common. 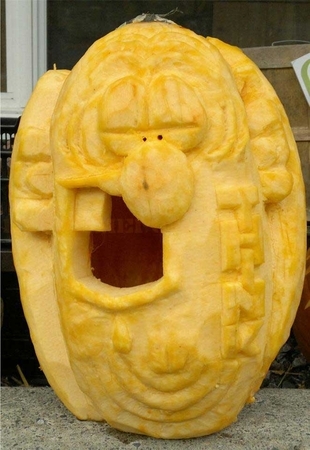 Considering you are visiting Extreme Pumpkins.com, I'd say you have a weird sense of humor. I would also guess that you appreciate the humor in MAD Magazine. I certainly do, so it was nice to get this pumpkin carving in my email inbox. Don Martin was a comedic genius.